When a disc's tough outer casing herniates do that the inner fluid protrudes outward, the resulting pressure on nearby nerve roots can cause pain, numbing, tingling, and other issues. Our spinal adjustments can correct the disc's position so it's no longer causing these symptoms. 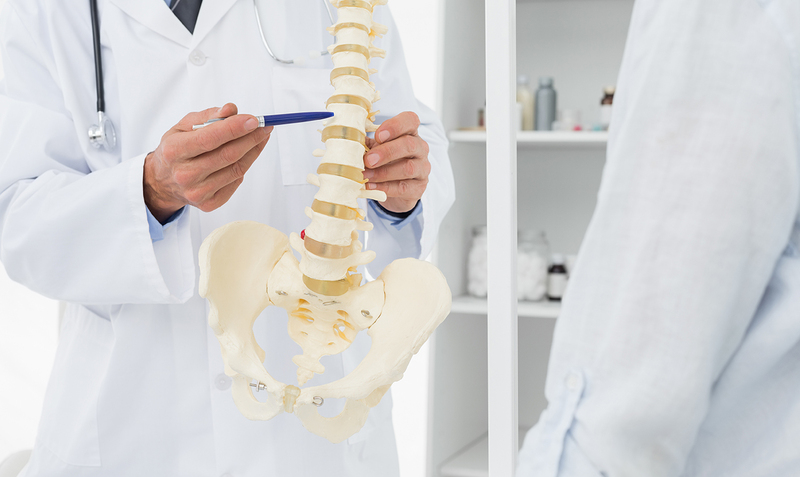 As your spine ages, the discs may flatten out, inflaming the intervertebral joints; you may also experience other degenerative conditions such as spinal stenosis or spondylolisthesis. Our gentle adjustments can normalize joint position, while corrective exercises improve your spinal muscular support. Shoulder pain may be related rotator cuff injury, sprains/strains, bursitis, or even a referred pain signal from the cervical spine. Chiropractic adjustment, cold laser therapy, rehabilitation, and massage therapy can all help your shoulder recover mobility and feel better. Neck pain may be chronic in nature, or it can occur suddenly due to violent injuries such as whiplash. We can evaluate your cervical spine to see whether you need soft tissue therapy, cervical adjustments, corrective exercises, or all of the above. Tension headaches stem from tight, overstressed muscles in the neck; migraines are more mysterious in origin, producing many agonizing symptoms in addition to brutal head pain. Our techniques can relieve neck tension, freeing you from chronic headaches. Chiropractic treatment is also good at making migraines less extreme and less frequent. From an overworked lumbar muscle to a longstanding spinal misalignment that causes your back to "go out," our chiropractor can ease your back pain. Our natural therapies can address the underlying root of that back pain, instead of merely dulling the pain with drugs. If a lumbar misalignment or herniated disc pinches your sciatic nerve, you may experience numbness, weakness, tingling or pain in your leg. We can take pinch off your nerve tissue to put these symptoms to an end. Bring your auto accident injury, work injury, or sports injury to us. We'll create a personalized recovery plan to help you heal. Chiropractic adjustment can do wonders for fibromyalgia, especially when cervical stenosis is involved. Meanwhile, massage therapy can keep painful muscle knots at bay. Are any of these conditions impairing your life right now? Our team is here to help. Call 949-559-7999 for an appointment at our chiropractic clinic!